Previous story ‘Wonder Woman’ Kills at the Box Office Next story Ready to Try Vibrating Yoga Pants? 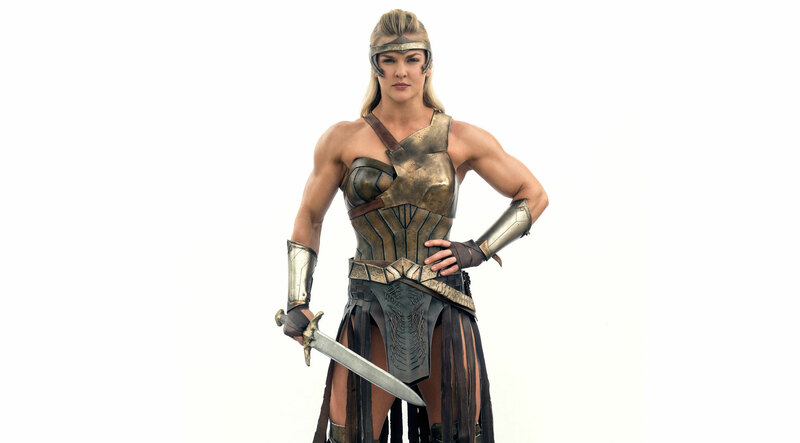 CrossFit athlete Brooke Ence is as close to a real-life Amazon as one could hope to be, so it only makes sense that she was cast to play one in Wonder Woman and Justice League. The former dancer has placed in the top 15 at the CrossFit Games and generated a massive social media following in just a few years, becoming an inspiration to female athletes everywhere in the process. While she has a musical theater and dance background, Ence never planned on acting, and she never would’ve ended up playing the Amazon warrior Penthiselea if Warner Brothers hadn’t reached out to her at the request of Zack Snyder, director of Justice League. On the same day she checked in for the 2015 CrossFit Games, the Nobull-sponsored athlete drove over to Warner Brothers to read for the movie. With Wonder Woman in theaters on June 2, Justice League set for November 2017, and keeping fans in the loop on her Instagram and YouTube channel, Ence has a lot on her plate. But she hasn’t forgotten about CrossFit. She had to drop out of the 2017 CrossFit Games due to an injury, but she’s already back in action, prioritizing recovery and training to get back to the top. Muscle & Fitness Hers caught up with Ence to talk training, overcoming injuries, and being an Amazon. 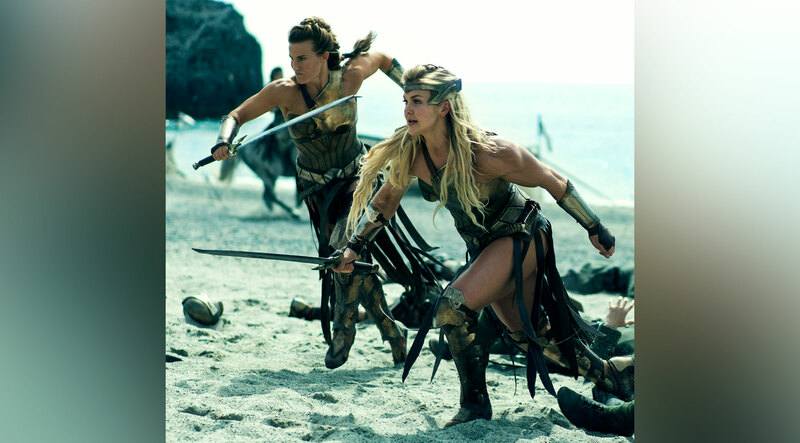 M&F Hers: What was it like to train and film with so many other strong women on the set of Wonder Woman? Brooke Ence: I had never experienced anything like that before. The energy was really great because everyone was there to work hard, but the level of training that I, and some of the other girls, come from was pretty crazy to everyone else. It was fun for a lot of them to watch me because I was training for the 2016 CrossFit Regionals, and it was something they had never really seen before. It was also cool for me to see so many people willing to work really, really hard. When it was time to film, everyone looked stronger and carried themselves like Amazons, and it really shows in the movie. The message Wonder Woman sends is similar to what you try to show on your social media—that women shouldn’t be afraid to be strong. Was it always a goal of yours to spread that message? It’s definitely my goal now, and it has been for the last two years. I think that getting to the position I’m in now was a natural progression. I work really hard, I set goals, and I try to meet them. Being vulnerable and honest with people and genuinely wanting what’s best for people helped me get to a place where I was naturally starting to be a person that people look up to for strength, helping people have confidence and conveying the idea that strong is beautiful. I just couldn't say no to doing the movie because I know that I need to do what I can to make that message last and affect more people in a positive way. What better way than to be an Amazon in Wonder Woman? When you were contacted to do the movie, was it a no-brainer? It wasn’t, because when I found out that they filmed in Europe, I knew that it would really disrupt my career, because I train year-round. It took me a while to decide if I was going to do it, but I realized it was a really great opportunity and something I would never forget. Do you think your background in CrossFit and dance helped you with learning swordplay and stunt choreography? Definitely, especially because I was the last person to get there. Everyone else had been training and doing all of this stuff for weeks, then I showed up and I hadn't learned any of the choreography. I was like, “oh, no.” But someone took me off to the side to teach me, and then they just threw me in. Because of my experience with dance and sports and my body awareness, I caught on fast. So, do you think you’ll continue acting? I’m actually already doing it! Some close friends of mine who are producers on Wonder Woman recommended that I start, so I’m taking some classes. I've been told that there's a good chance that more opportunities will show up, and I just want to be prepared if that happens. I recently had an ACDF spinal fusion. I had surgery about nine weeks ago, and since then I’ve been recovering, taking acting classes and doing my YouTube channel. What's your advice for people who are dealing with injuries? While we were filming, I was training as much as I could along with things like horseback riding every day. I ended up with bad tendonitis in my knee, and I couldn't do as much work as I needed to at the 2016 CrossFit Regionals. I missed qualifying for the 2016 CrossFit Games by one spot, which was really rough for me. I climbed out of that dark place and grew from it, and I was ready for 2017 to be my comeback year. Then, the day that our season started, I found out that I had a severely herniated disc and needed to have surgery, so I have to sit out 2017. It was devastating, but it's an opportunity to try new things and come back even stronger. Having to sit out a whole year and not do anything at all for about six weeks was awful, but there's so much more to life than rushing an injury due to your fear of missing out. You have forever to work out really hard, and once you're healthy, there are no excuses. What’s your approach to diet and training? Typically, I train Monday through Saturday, usually twice a day or so. Depending on the time of year, I’m training for four to five hours a day. As far as diet, I track my fat, protein, and carb intake, and I stay very consistent, which is key. But if I could tell anyone just one thing that they could do to help improve their training and diet or lose weight, I would tell them to stop eating out and to meal prep. Eating out is the worst thing for you, even though it’s the most fun. If possible, work with a company like Trifecta that will send them food, too. That just makes meal prepping even easier. Do you have a dream role as an actress? I've decided there are two roles that I know I would be good for. The first is the female Thor. The other would be She-Ra, the Princess of Power. I’m obsessed with the idea of them making a He-Man and She-Ra. Follow Brooke on Instagram, YouTube, Facebook and Twitter, and catch Wonder Woman in theaters June 2.